The cellular landscape we have developed from the images collected through the AFM. Texturing the dying cancer cell mesh in blender. A close up image of a dying cancer cell reaching out to another cell close-by. 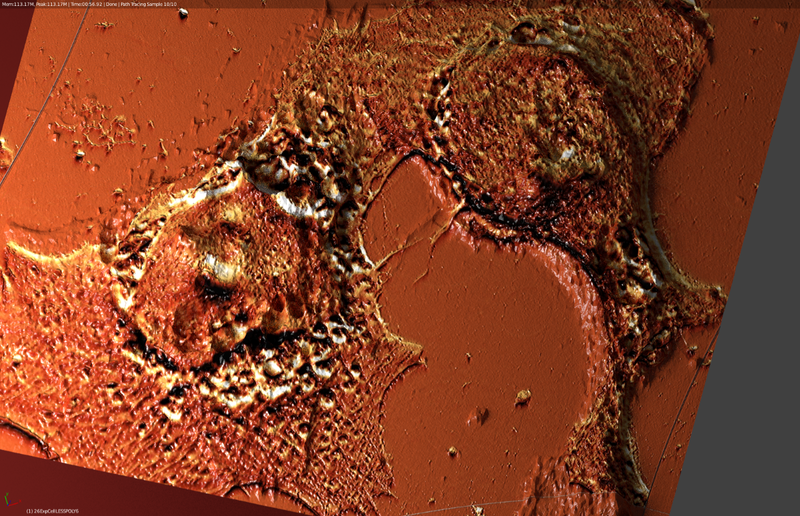 This image was developed through gwyddion which is the software that processes the AFM data for visualisation.